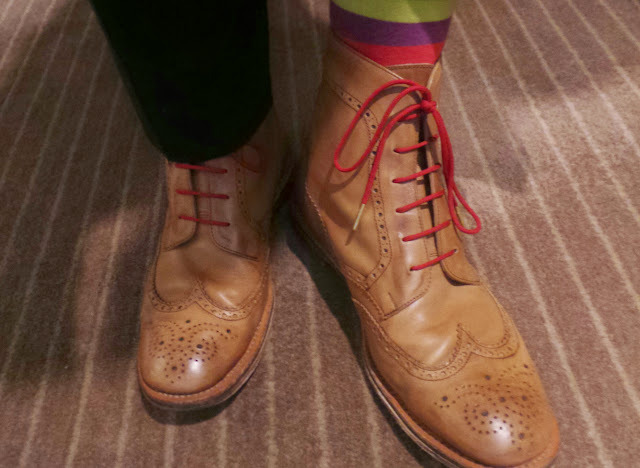 British Feet: Solovair boots, Sockmine socks and red Original Lace Company Laces all made in Britain. 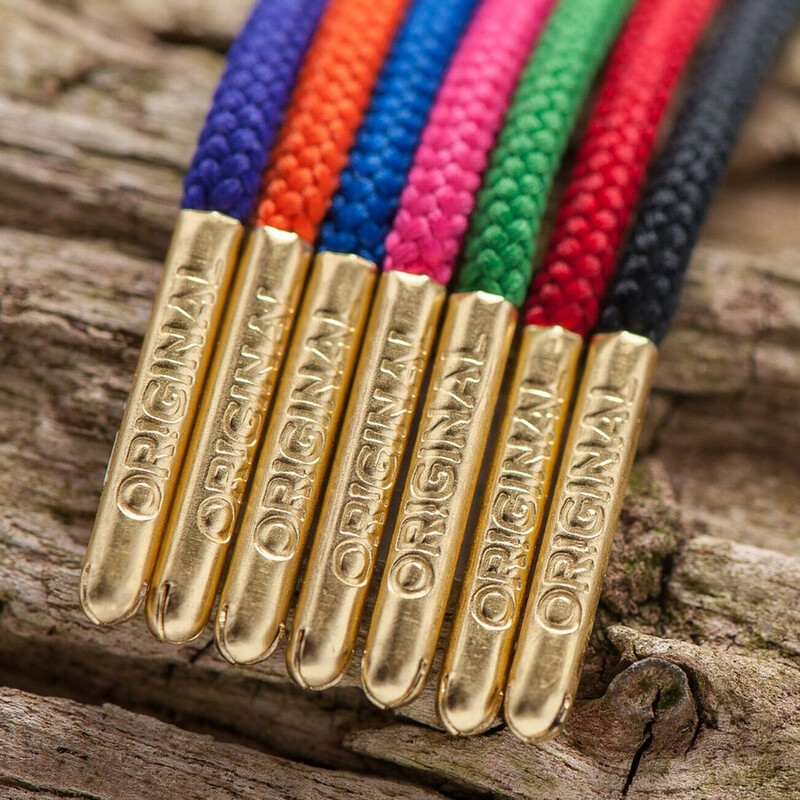 If we told you that our shoelaces were now made in UK you might be forgiven for thinking that we are taking the whole buying only British thing a little too far. However, I can confirm that we now source our laces from the Original Laces Company who proudly produce funky, and great quality laces, in Maldon, Essex. You might not consider the bits of string that hold your shoes on as all that important, let alone particularly glamorous. The Original Lace Company are set to change your perception of laces – they have mine. When first contacted to write a review the wares of The Original Lace Company I will admit to being a little underwhelmed by the prospect. How wrong was I? The moment I saw the two pairs that arrived I knew exactly the shoes they would work best with – my brogue-style boots made my Solovair. The Solovair boots are undoubtedly the best boots I have ever owned – comfortable, great looking and exceptionally well made. I thought nothing could make these boots better, but the addition of the red Original Lace Company laces have turned the dial up to 11. The laces come in a vast range of colours from the traditional to the more outlandish and tipped with a gold metal fluglebinder (whatever those bits on the end of shoe laces are called). As a man, other than a tie and maybe socks, there are very few opportunities to add personality to a suit. I think these laces can add some much needed glam to a boring old pin-stripe. At between £10-£12 per pair they are obviously more expensive than ‘normal’ laces but for what you ‘actually’ get I think they are pretty well priced. The things at the end? An aglet.